All Baltimore homes currently listed for sale in Baltimore as of 04/23/2019 are shown below. You can change the search criteria at any time by pressing the 'Change Search' button below. If you have any questions or you would like more information about any Baltimore homes for sale or other Baltimore real estate, please contact us and one of our knowledgeable Baltimore REALTORS® would be pleased to assist you. "Overlooking the proud skyline and sparkling waters of the City of Baltimore, there is a new standard. Here in the Land of Pleasant Living stands the full expression of just how effortlessly enjoyable every day can be. Presenting Four Seasons Private Residences Baltimore, a seamless blend of sophisticated style, lavish amenities, and the exemplary service of the world's preeminent hotelier." "Baltimore's preeminent penthouse residence. Former home of author tom cla ncy, this 12000 sq ft home boasts unsurpassed views of Baltimore's Inner Harbor, a floorpan comprised of expansive, open entertainment spaces, private retreats, a State of the Art private theater, private gym, offices, and six terraces. 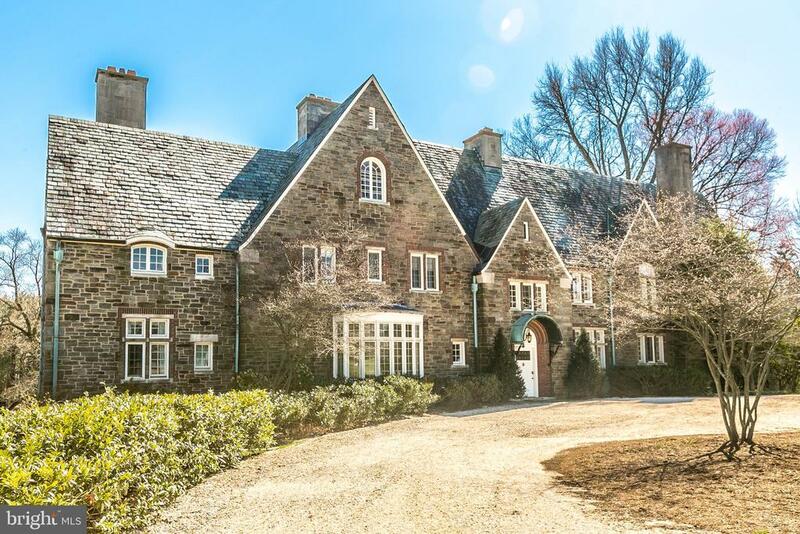 This is a rare opportunity to own Baltimore's finest residential masterpiece." "Thoroughly renovated c.1880 estate home with state-of-art technology. Grand rooms, intimate gathering areas. 7 Bedrooms, 6/2 Baths, 11 Fireplaces, superb built-ins & millwork. Stunning Trish Houck Kitchen complex. Luxurious Master Bedroom with Dressing Room & 2 Master Baths. Caterer's Kitchen, huge wraparound Porch, bluestone Patio, beautiful gardens, historic outbuildings, 4-car Garage, stone entry posts & estate drive. All on 5.46 landscaped acres." 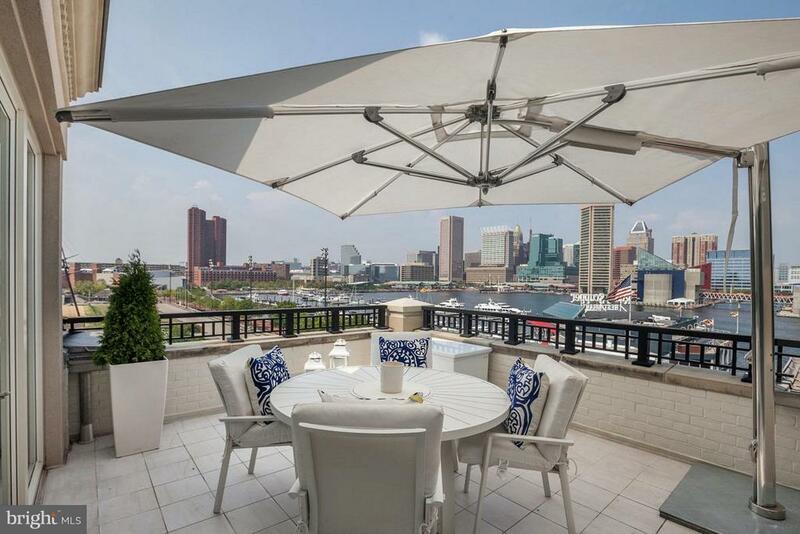 "This top floor two bedroom with library, two and one half bath corner Four Seasons Private Residence is positioned 23 stories above the city offering sweeping views of the Patapsco River, the downtown skyline and Baltimores Inner Harbor. Boasting over 2,500 square feet this breathtaking residence presents an expansive open-concept living room, dining room, and kitchen, airy 10-ft ceilings, floor to ceiling windows, oversized balcony, vaulted ceilings, solid walnut herringbone wood flooring, designer light fixtures, custom built-ins, motorized shades and an integrated home automation system. The state of the art kitchen showcases an oversized eat-in marble waterfall island, professional-grade Miele appliances, Eggersmann cabinetry and custom Sub-Zero built-in wine refrigeration. The luminous master bedroom suite is a sanctuary featuring a separate dressing room, generous walk-in closet and an luxurious marble en-suite master bath with dual vanity, a walk-in steam shower and free standing soaking tub. Four Seasons Private Residence Baltimore provides a unique opportunity to experience life in the most sought-after location in Harbor East. With signature Four Seasons service and outstanding amenities on their doorstep, owners enjoy unparalleled access to a personally tailored lifestyle, while our long-term property management ensures a worry-free ownership experience." "Welcome to the premiere residence in The Warrington, long revered as Baltimore's first and most luxurious high-rise. 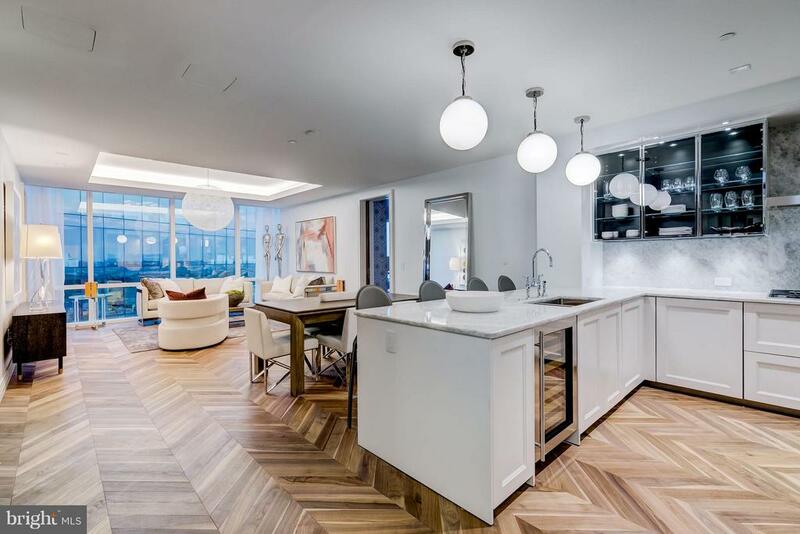 Elegant and breathtaking renovation designed by Alexander Baer, this incredible 3966 square foot two bedroom, two full and one half bath stunning condominium. 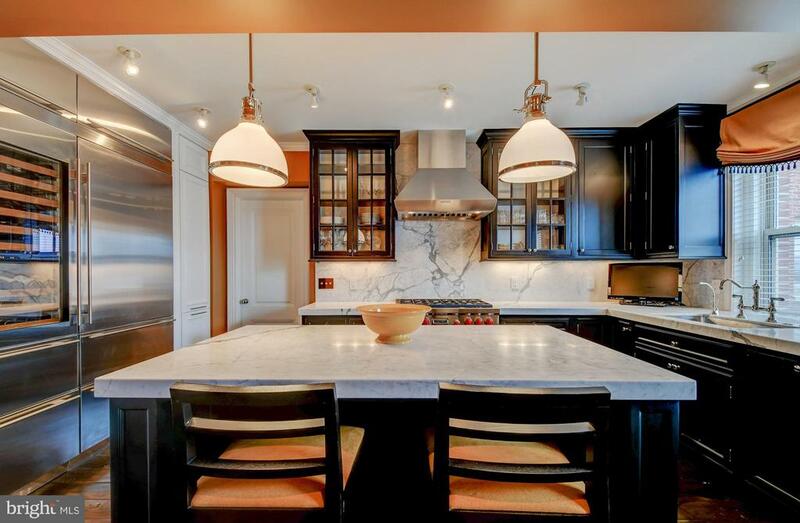 Custom marble counters, Subzero with wine fridge and six burner gas Wolf stove to suit the most discerning epicurean. Formal dining with Butler's pantry and granite counters. Gas fireplaces in both the wood paneled library and spacious living room. The Master Suite boasts a sitting room, pristine dressing room, and a luxurious Master Bath with marble, his and her vanities, marble and glass steam shower. Second en suite will not disappoint with granite and marble finishings . Designer lighting & window treatments, Plantation Shutters, wide planked reclaimed wood floors, double piece moldings and custom mill work throughout...The Warrington, you have arrived!" 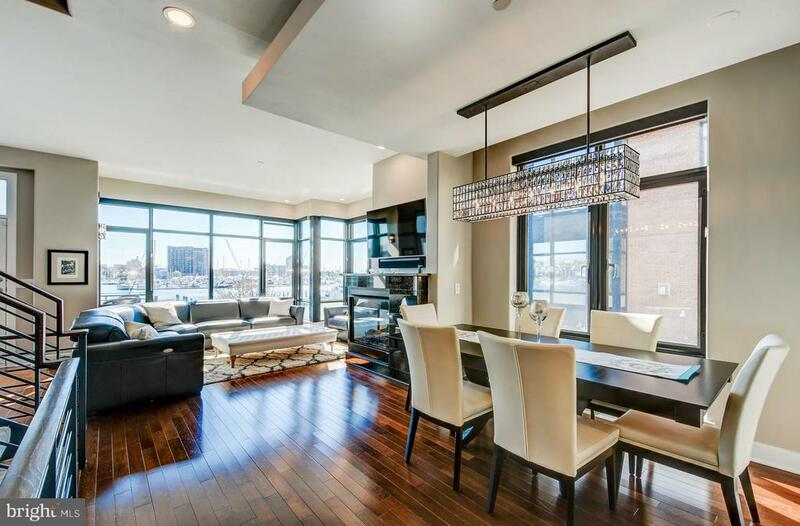 "Impressive 27th story penthouse with panoramic views of the Inner Harbor sets the scene for an exceptionally upscale waterfront lifestyle. Designed by celebrity decorator, Edward R. Stough, this one-of-a-kind 3 BR with study, 3.5 BA Harborview residence boasts over 5,000 SF of grandeur with intricate details throughout including custom built-ins, tray ceilings, designer marble, Chef's Kitchen with professional grade appliances that opens to large entertainment areas, ample storage, and two fireplaces. The penthouse is the largest atop the Towers and showcases the most impressive residential outdoor entertaining in the city with its six jaw-dropping balconies. 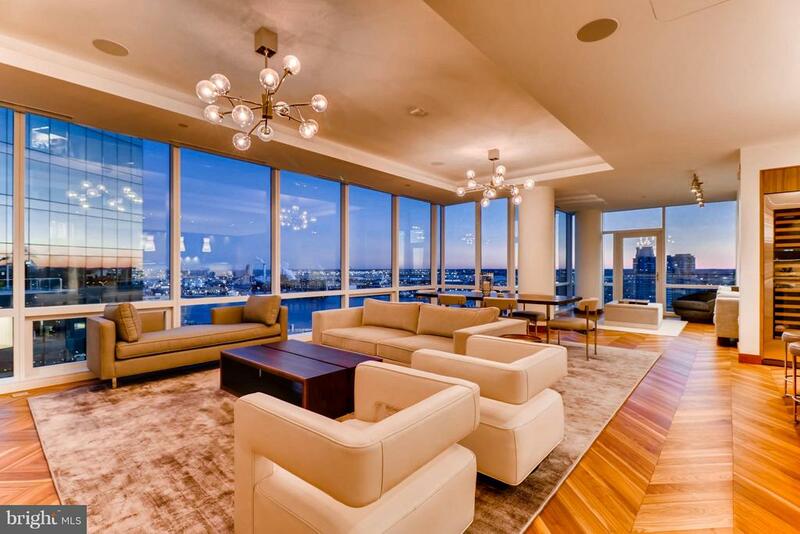 Exclusive amenities apply to this meticulous residence including private elevator access to the 27th floor West Tower and three covered parking spaces. Enjoy the finest facilities The Harborview Towers has to offer including 24/7 Concierge, Complimentary Valet, 4,000 square foot Health Club, Indoor Aquatics Center with a 50-foot pool, Indoor Lounge and Bar, and Meeting Rooms." "Just across from Sherwood Gardens, magnificent 5 bedroom, 5 full & 3 half bath, brick Guilford colonial meticulously renovated on private double lot. Modern living with stunning open concept addition featuring heated bluestone floor, family room, mudroom & custom kitchen. Espresso stained white oak floors & fine millwork throughout. 4 firepaces. Master suite with marble bath, steam shower & heated floors. 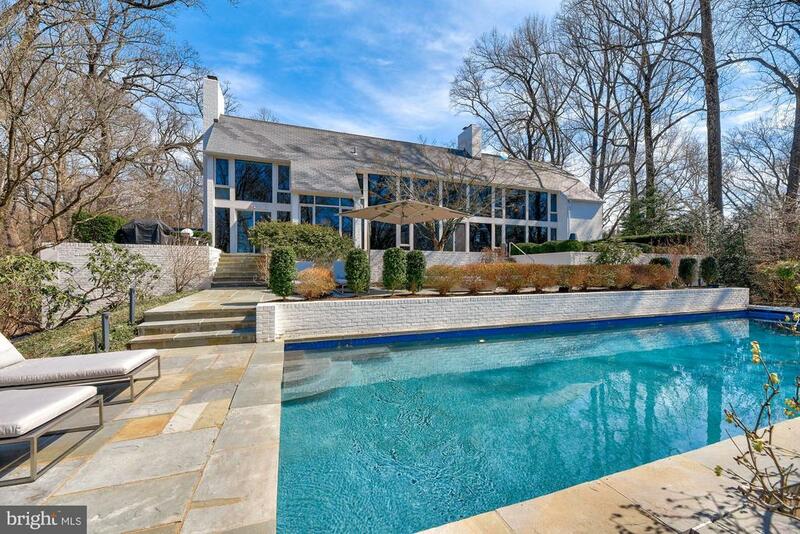 Salt water pool, bluestone patio & outdoor brick fireplace." 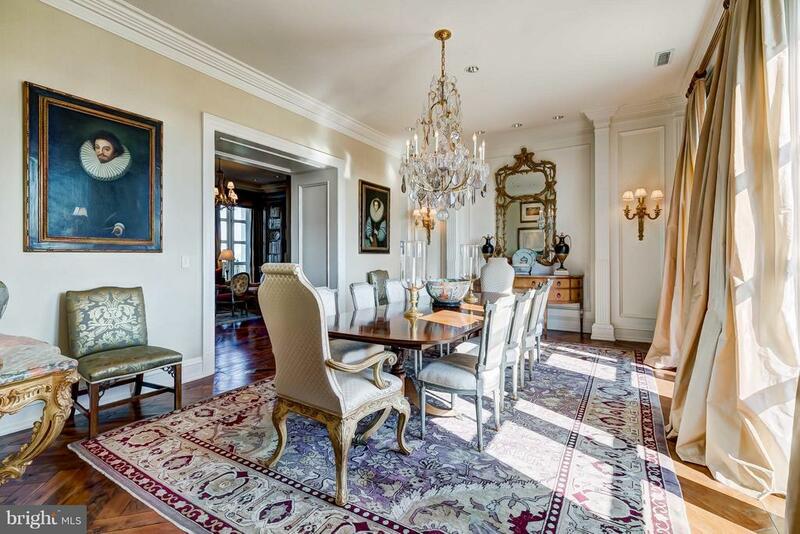 "Luxurious living in Baltimore's iconic 1927 Warrington. 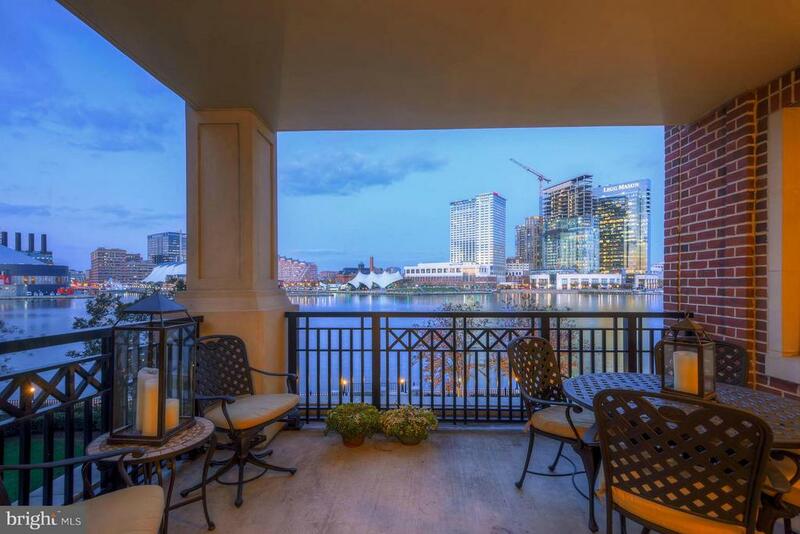 Two story floating penthouse in the sky w/ unrivaled views of the Inner Harbor & beyond. A feast for the eyes. The epitome of enduring style. Alexander Baer's world class style exemplified in his personal home. Plaster ceiling details, custom herringbone cherry floors, exquisite irreplaceable lighting & divine terrace. Truly a rare offering." "Celebrating beauty and privacy, this extraordinary contemporary home is an architectural masterpiece designed around concepts of style, leisure, comfort and function, idyllically sited on more than two pristine acres. Upon entering the home, the amazing attention to detail is evident in each element of fit and finish with remarkable wood and stonework. Generously proportioned rooms are illuminated by large walls of windows looking upon the serene and natural surroundings. Every element of the residence is infused with the finest materials, from the true chef~s kitchen open to the family room, to luxury bathrooms. Remarkable living quarters converge with picturesque grounds via the spacious screened porch perfect for relaxing or gracious entertaining. The comprehensive outdoor entertaining spaces provide for enjoyment of the outdoor experience as much as the indoor, with a tranquil infinity edge swimming pool, pool house, bluestone patios and elaborate lighting. The home~s refined, understated elegance make it an ideal place for enjoying quite evenings or afternoons by the pool, or entertaining on a grand scale." "ARCHITECTURALLY SIGNIFICANT AND TRULY EXCEPTIONAL 6BR, 5/2BA HOME ON 2.04 ACRES. ENTER THROUGH GATED DRIVEWAY. COOK'S KITCHEN OPENS TO FAMILY ROOM. WONDERFUL SCREENED PORCH (26' x 25'). INCREDIBLE OUTDOOR ENTERTAINING SPACES INCLUDE STUNNING POOL WITH INFINITY EDGE, POOL HOUSE, BLUESTONE PATIOS AND ELABORATE LIGHTING. 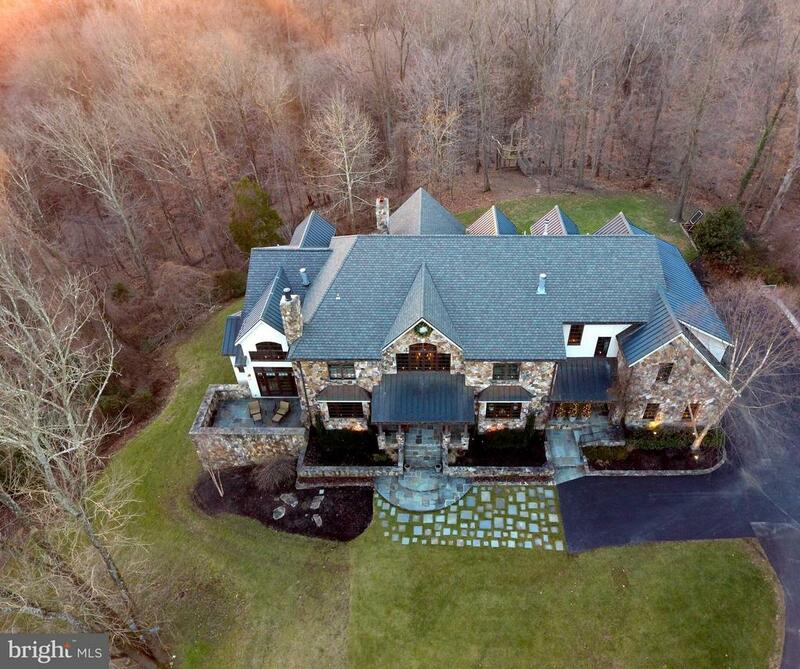 TREMENDOUSLY PRIVATE BALTIMORE COUNTY LOCATION." "Nestled on a beautiful 1.6-acre lot in a neighborhood of exquisite custom homes, this classic Colonial features stunning mahogany beveled glass doors to the grand foyer, a dramatic living room, an expansive chef's kitchen, a light-filled family room and a floor plan designed for gracious living and entertaining. The open interior spaces are filled with light from an impressive display of windows and French doors, and passageways, high ceilings and Bamboo floors add stunning accents. The main level features a striking wood library, a luxurious owner~s suite, a great room with Mendota gas fireplace and two bedrooms ensuite. The laundry room off the kitchen includes a second kitchen. The upper level includes two additional bedrooms ensuite. This home was designed for entertaining with a fully integrated Sonos wireless surround sound system, recessed lighting, and four sets of 7~ Marvin French doors to access rear Lanai and gunite pool & hot tub. The finished lower level complete with billiards & game area, fitness area, practice golf cage and so much space for media viewing. The outdoor living space, landscape & lighting was designed by Maxalea. Includes a heated 3-car garage with a lift for an additional 4th car." 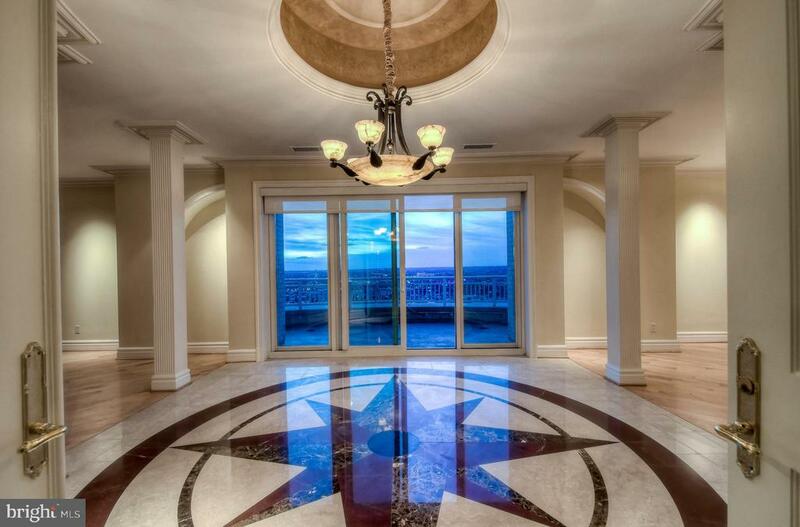 "This exquisite home is situated in one of the most desirable locations in The Ritz-Carlton Residences. This 2 BR, 2.5 BA impeccable residence features rooms custom designed by Cashmere Interior, rich collection of handsome wood paneled walls, Gourmet Viking Kitchen, private elevator, and intricate tiling of the floors and walls throughout. The residence boasts three balconies: two Juliet balconies and a large corner balcony with panoramic views of the Inner, Middle, and Outer Harbor. Enjoy the 5-Star Amenities The Ritz-Carlton Residences has to offer: Salt Water Indoor Pool, Gym, Theater, Board & Club Room, and 24/7 Concierge & Valet." "Elegant 4 bedroom, 3 full & 2 half bath custom home with 3 car garage, featuring the fine craftsmanship that only a Mel Benhoff build provides. Gracious foyer flanked with arched doorways to formal living room & dining rooms. Gourmet kitchen, breakfast area & family room with fireplace & beamed ceilings. Landscaped grounds, patio & terrace. Convenient to downtown, Lake Roland & excellent schools." "5 Star Living at The Ritz-Carlton Residences. Absolutely one of the nicest condos in the City! Over 4,200 sqft of Luxury. Effortlessly reside in this 3 bedroom & office 4.5 bath condo with two balconies looking directly at Harbor East & Downtown. Lux Master Suite, Private Elevator, Viking Kitchen, Gleaming Hardwoods, Gas fireplace, Storage. Pool, Gym, Theater, Board and Club room Valet, Doorman." "Shed the cares of the world of work and come home to the beauty, serenity, and privacy of this spectacular estate. 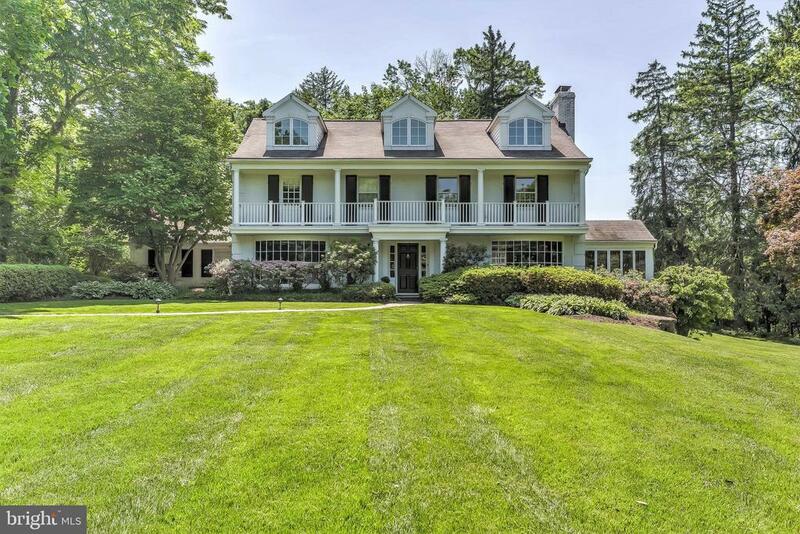 Created by the collaborative efforts of award-winning architect Charles Richter, and acclaimed landscape designer Kurt Bluemel, it is tucked away on 9 and a half acres off a cul-de-sac in the prestigious Oakland community within the premier and convenient location of the Woodbrook/Ruxton area. These elements have resulted in one of the most desirable properties offered to date. All throughout the more than 5,000 square feet of living spaces of this contemporary residence are clean, crisp, and sophisticated rooms with expansive windows to allow for views of its peaceful, natural surroundings providing continuous color throughout the seasons. Open, generously sized rooms with high ceilings and walls for art on the main level flow seamlessly for grand scale entertaining and intimate gatherings. A large gourmet kitchen opens to a breakfast room and fireplaced family room which leads to the living, dining, and first floor office or main level bedroom. The upper level of three bedroom suites all enjoy spacious room sizes, walk-in closets, and tranquil views of the lush landscape graced with a captivating heated in-ground pool, bluestone terraces, and walking paths.Further enhancing the residence is the expansive finished lower level with a collector~s wine room, and other spaces including a large club room.MORE EXTERIOR PHOTOS COMING SOON." 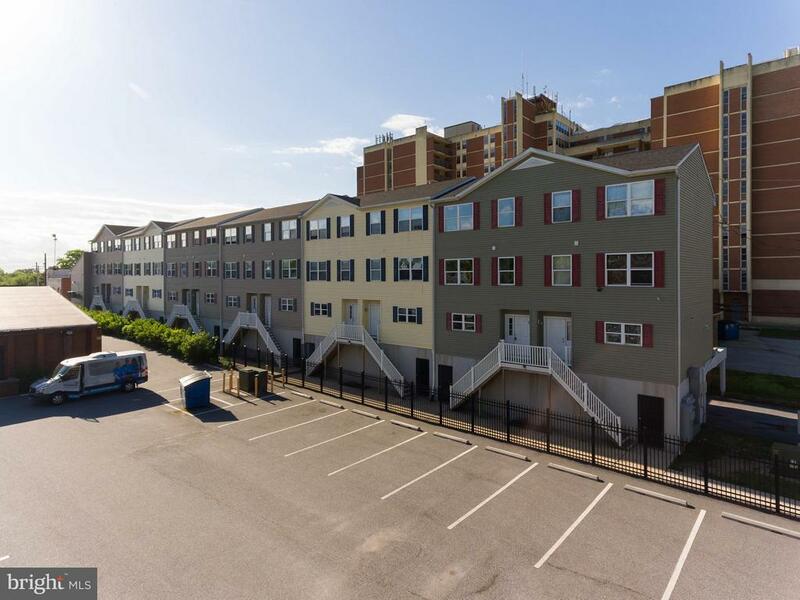 "This listing is for all 12 townhome units and 2 commercial spaces! Perfect investment opportunity! Great cash flow, ALL UNITS CURRENTLY LEASED. TURN KEY.Property built in 2008, well maintained. Each townhome has 2 private parking spaces. Condo regime in place if a conversion is desired. Close to Loyola. Rent rolls and P&L's available upon request." "Masterfully designed and constructed, every element of this custom-built five bedroom, four full and three half bath stone and stucco villa is infused with the finest materials and fixtures. 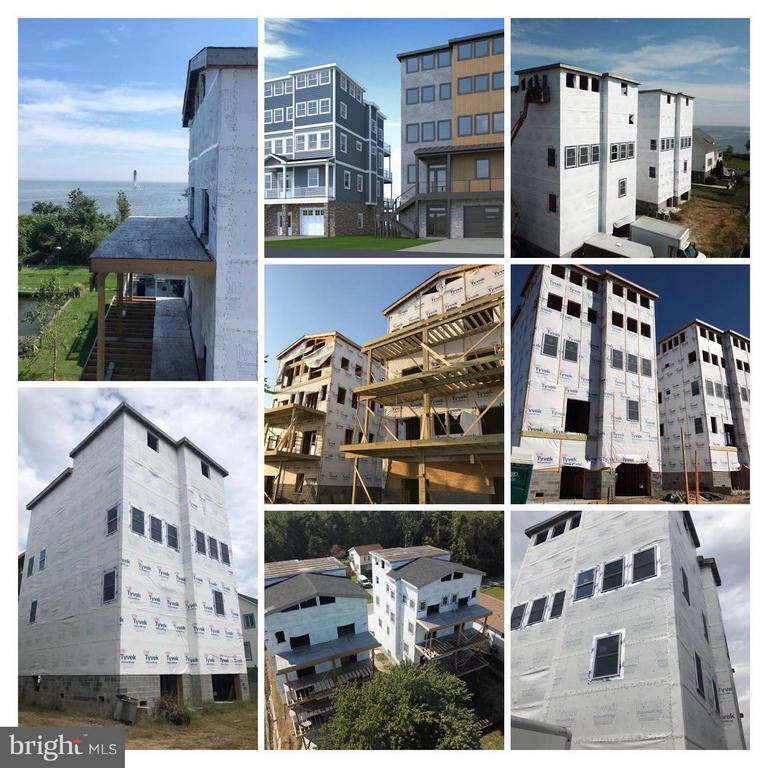 Extraordinary from any angle, compelling architecture and innovative design lend refined touches throughout the more than 10,000 square feet of comfortable living spaces. Upon entering the amazing attention to detail is evident in each aspect of fit and finish with the remarkable wood and stonework appointed with the warmth and appeal of rustic craftsmanship. Notable features include the dramatic, light filled two story great room, true chef's kitchen with brick oven, top-of-the-line appliances, and butlers pantry, generously proportioned dining room, and the two story master retreat with floor to ceiling windows, artfully designed spa bath, balcony, fireplace and loft dressing area. Further enhancing the captivating appeal of this exceptional home is the comprehensive landscape plan that provides for enjoyment of the outdoor experience as much as the indoor." "Welcome home to your new, expansive, Two Bedroom with Den/Office Residence in the luxurious Four Seasons Private Residences. 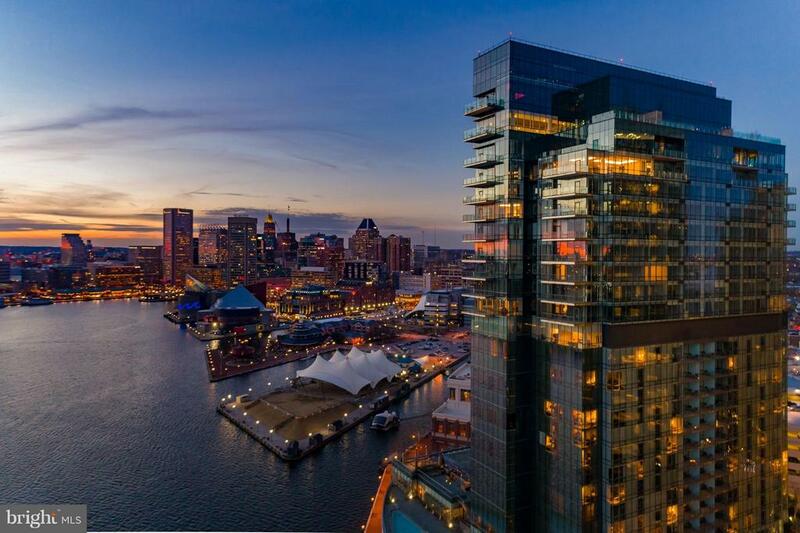 Overlooking the proud skyline and sparkling waters of the City of Baltimore, there is a new standard. Here in the Land of Pleasant Living stands the full expression of just how effortlessly enjoyable every day can be. Presenting Four Seasons Private Residences Baltimore, a seamless blend of sophisticated style, lavish amenities, and the exemplary service of the world's preeminent hotelier." "Presiding stately on two separately deeded lots along a quiet tree-lined street with privacy and lush gardens, this exquisitely grand Roland Park residence has undergone months of thoughtful renovation culminating in the perfection of its past elegance and dignified ambiance. The finest materials and advanced technologies have been incorporated to provide convenience and comfort. The impressive foyer with its magnificent three level staircase visually leads to beautifully proportioned living spaces with ten foot ceilings, inlaid floors, and classic millwork. The spacious eat-in kitchen with enormous butler~s pantry is just off the banquet sized dining room which flows seamlessly to the large living room, cozy office or library, and sun room overlooking the lawn and gardens. The second level presents two master suites and a third suite all with new baths, new laundry room and office. The third floor offers two additional bedrooms, new bathroom, and a large family or recreation room. Heating and air conditioning systems have been updated throughout the home, and there is an ample garage for two+ vehicles .ALSO INCLUDES LOT 4 APPROXIMATELY .40 ACRES (TAX ID-0327134964-004). 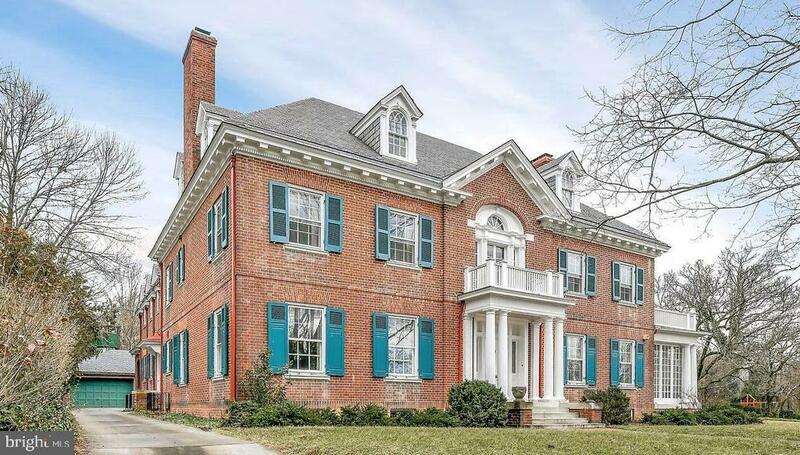 That's approximately over 3/4 acres in ROLAND PARK!" "INCREDIBLE OPPORTUNITY! Great New Price! All new plumbing & wiring!" 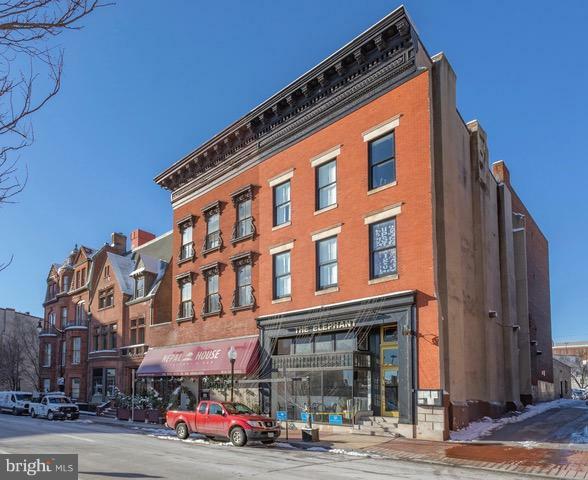 "Rarely available and absolutely stunning Crescent Townhome in Fells Point. Thee Bedrooms / 3 Full and 2 Half Baths plus a large Family Room. 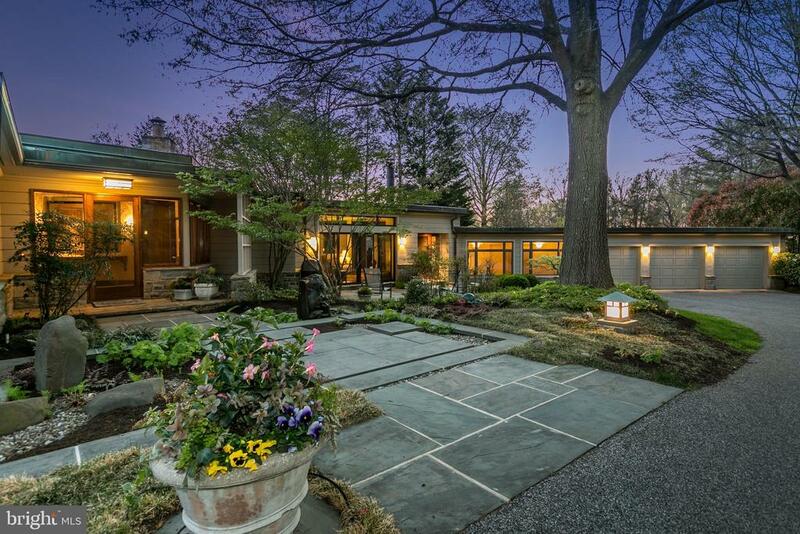 This is the one of the most exquisite waterfront homes in Baltimore. 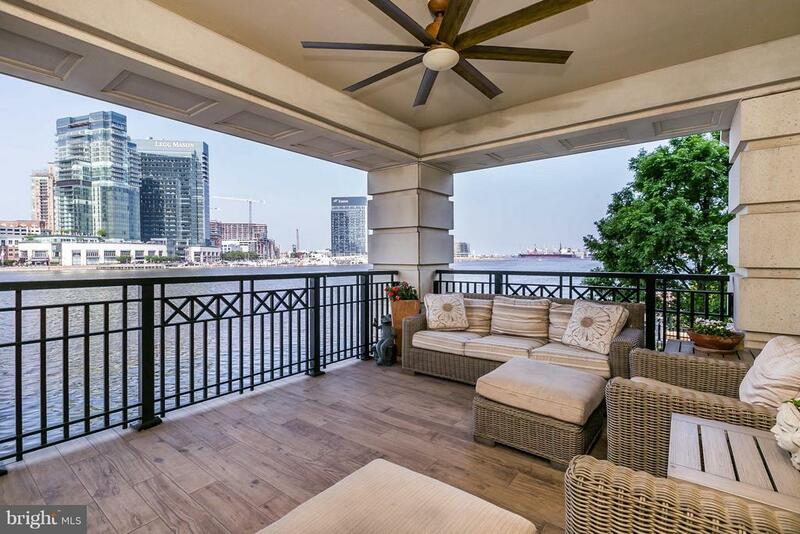 Over 4000 sq ft of ultra luxury living space with wide-open, panoramic views of the Crescent Marina, Canton waterfront, open harbor all the way to the Key Bridge. Light filled rooms on each and every level. Recently remodeled - pristine condition. High ceilings, superb layout for entertaining. Floor to ceiling windows, large rooftop terrace, fantastic location. If you are looking for the cream of the crop in Baltimore - you just found it." 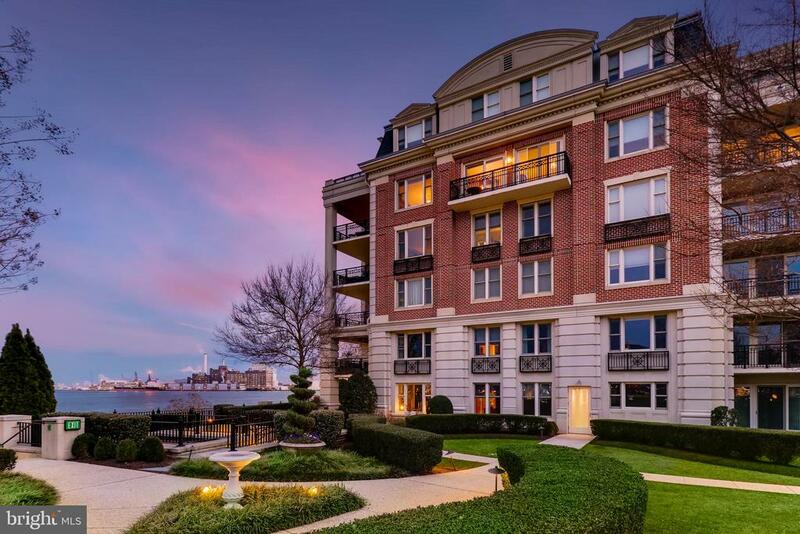 "Breathtaking garden & Inner Harbor views combine to make this designer unit your oasis in the City! As featured in The Baltimore Sun Dream Homes, this former model boasts impressive upgrades thru-out. Sun-filled, beautifully appointed w/ gracious rm sizes, this home is sophisticated, comfortable & offers gorgeous vistas from every room. Enjoy relaxing on the spacious terrace morning, noon & night!" "Beautifully updated 5BR, 4/1BA Charleston Colonial in great peaceful cul-de-sac location. Foyer w/elegant staircase, formal LR w/FP & DR, FamRm w/wet bar & FP flows to beautiful 2016 gourmet Kit w/marble counters. SunRm/Study. MBR w/2018 spaBA, 2 large BRs & BA on 3rd Floor. Completely finished LL includes RecRm w/FP & full Ba. Heated Pool, flagstone Patios, beautiful landscaping, total .98 acres."